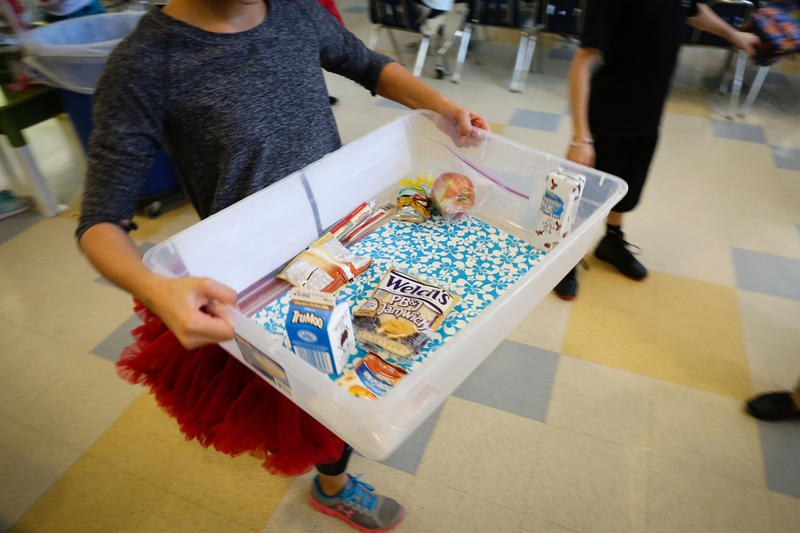 When Food Banks Say No To Sugary Junk, Schools Offer A Solution : The Salt Food banks are increasingly saying no to cakes, holiday candy and other junk food donations. 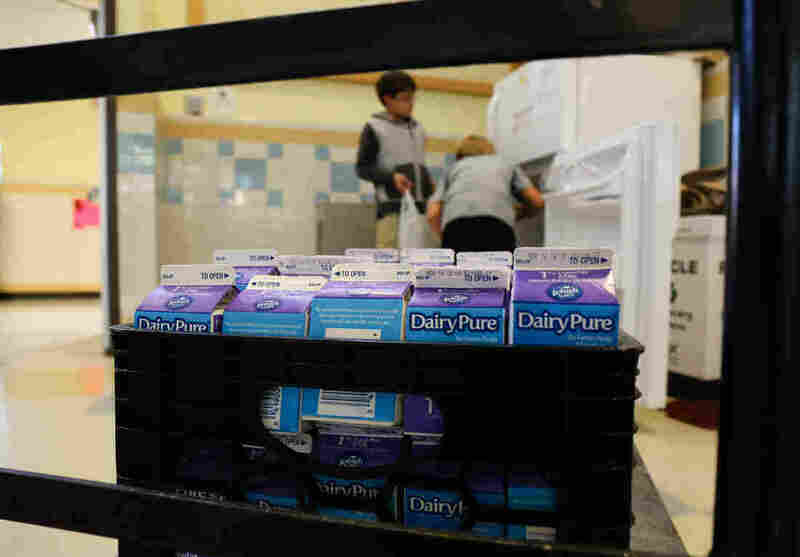 But some schools are sending them healthier donations by salvaging uneaten foods in their cafeterias. 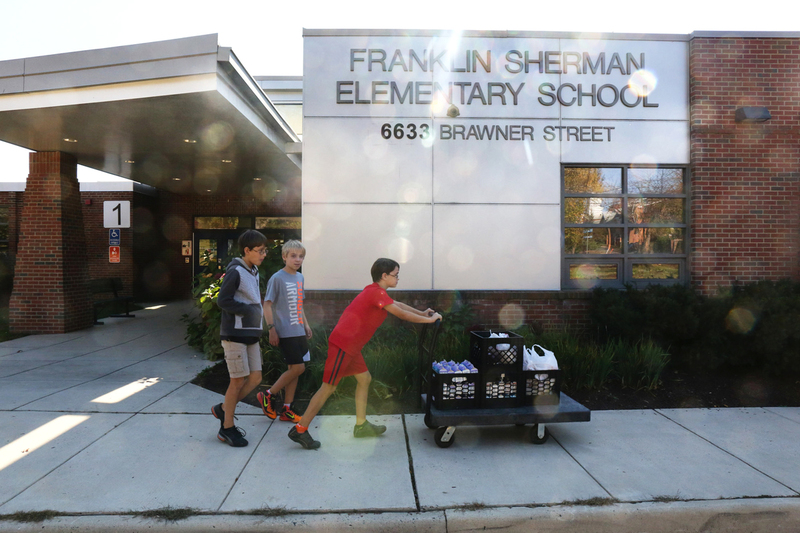 Student Nicola Hopper, 11, and Jake Hensley, 11, load milk cartons and other food collected by students at Franklin Sherman Elementary School into crates to be taken across the street to Share food pantry at McLean Baptist Church. After every lunch period student volunteers carry food collected for the Food Bus program over to a designated refrigerator. There are lots of reasons kids don't eat everything on their trays. They either pack too much, don't like what the cafeteria is serving, or they don't have time to eat everything. A lunch left behind by a student at Franklin Sherman Elementary School. Unopened milk from lunch is boxed up to be sent to the food bank. Cheese sticks are also donated. Franklin Sherman Elementary students Nicola Hopper, 11, Jake Hensley, 11, and Aya Hopper, 10, transport collected food from their school to McLean Baptist Church, located across the street from the school.